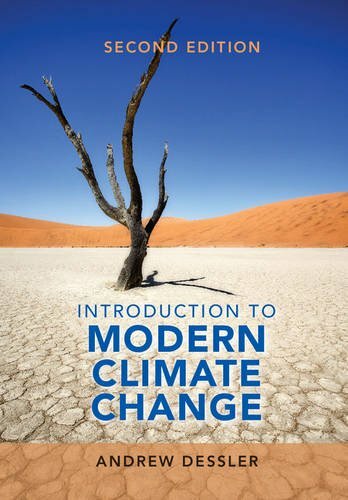 Amazon.com description: Product Description: This is an invaluable textbook for any introductory survey course on the science and policy of climate change, for both non-science majors and introductory science students. The second edition has been thoroughly updated to reflect the most recent science from the latest IPCC reports, and many illustrations include new data. The new edition also reflects advances in the political debate over climate change. Unique amongst textbooks on climate change, it combines an introduction to the science with an introduction to economic and policy issues, and is tightly focused on anthropogenic climate change. It contains the necessary quantitative depth for students to properly understand the science of climate change. It supports students in using algebra to understand simple equations and to solve end of chapter problems. Supplementary online resources include: a complete set of PowerPoint figures for instructors, solutions to exercises, videos of the author's lectures, and additional computer exercises. About: This is an invaluable textbook for any introductory survey course on the science and policy of climate change, for both non-science majors and introductory science students.